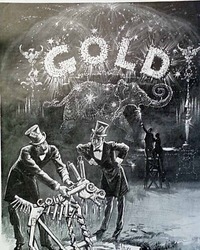 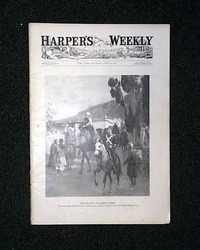 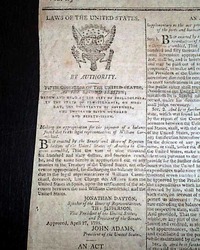 A very significant issue, as the front page contains the Act of Congress which formally established the Department of the Navy. 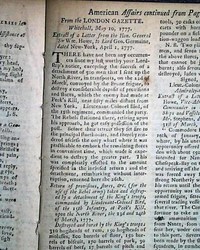 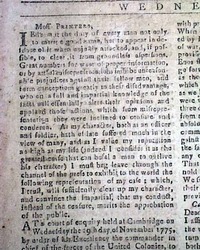 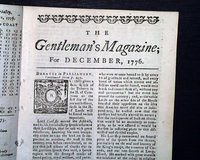 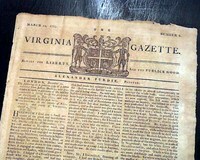 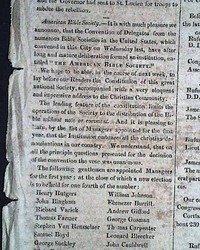 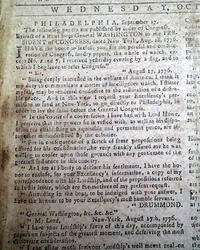 GENTLEMAN'S MAGAZINE, London, December, 1776 The first article has five pages taken up with: "Debates in Parliament" which include much discussion on the situation in America. 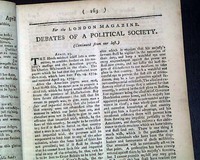 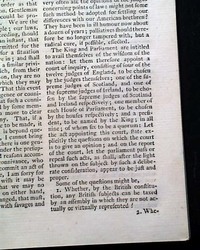 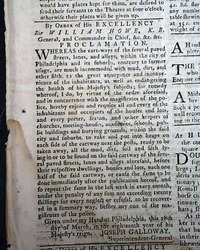 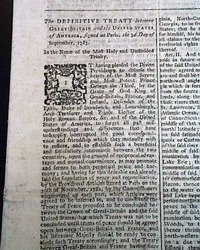 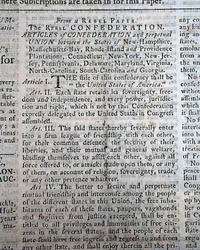 THE LONDON MAGAZINE, England, April, 1775 Inside has 6 pages of debate concerning the creation of what would be the Administration of Justice Act, which was one of the "Intolerable" Acts so hated by the colonists. 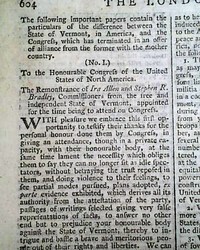 Terrific & very lengthy, detailed reporting, too much to show here. 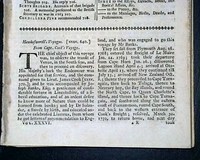 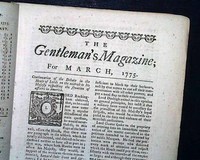 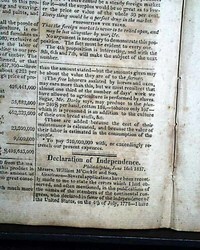 THE SCOTS MAGAZINE, Edinburgh, Scotland, December, 1774 Although formatted much like the more common "Gentleman's Magazine" this is a much more scarce title. 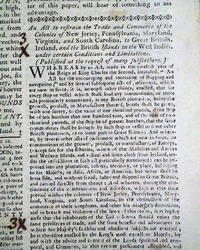 "A Plan for Reconciling Britain and Her Colonies" asks 7 questions pertaining to this (see) with some thoughts. 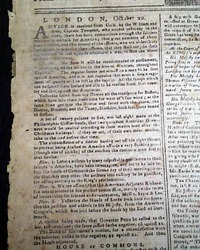 George Washington talks about independence... Ben Franklin is assassinated? 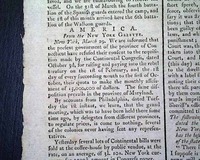 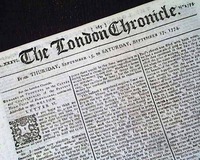 This was a strongly Tory (supportive of the British cause) newspaper which began in 1775 and closed shop in May of 1778 when the British evacuated Philadelphia.